Marvel has done a great job of keeping Avengers: Endgame secrets, and the credit also must be extended to the cast. Good thing they kept Tom Holland off the press tour this time! 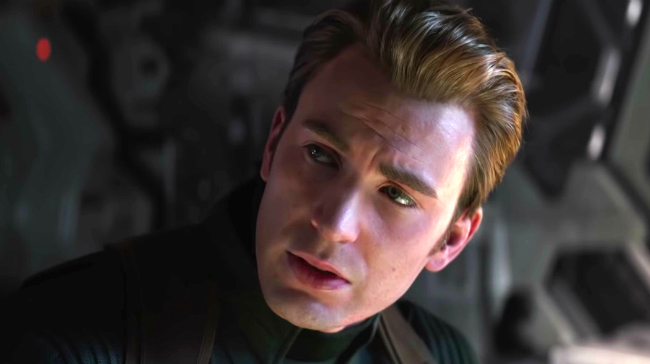 One of the major question marks going into the film is the fate of Captain America, as we've seen actor Chris Evans express emotional farewells to the character now that his contract is up. During yesterday's press event, Evans came close to revealing too much about Cap's future. But the Avengers are a team, and the others in the panel stepped up to keep him quiet. I'll continue to hold out hope that Cap gets to walk off into the sunset and settle down with Sharon Carter in the most wholesome place in the world he can find. Something tells me he'll actually get shunted into oblivion by Thanos, but I'm trying to be optimistic.